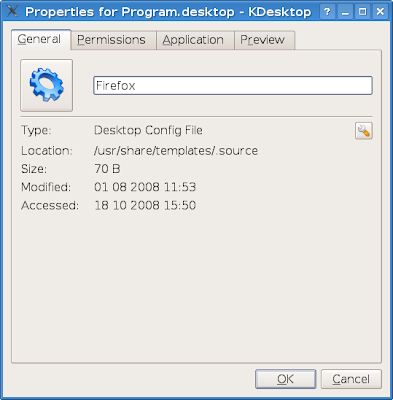 In this tutorial I will show you two ways of creating launchers in KDE3, which comes with default in Debian Lenny and Kubuntu 8.04 LTS. Enter the name of your launcher, that is the name which will appear on the desktop, under the application's icon. 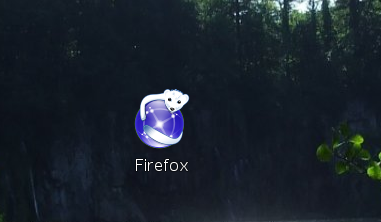 Select an icon for your launcher by clicking on the small blue wheel on the left side of the name. Search for your icon and select it. 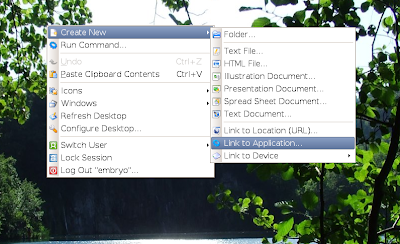 Next, go to the Application tab and enter a Description and the command you want executed when the launcher is clicked (usually these commands will be applications like Firefox or Amarok, which reside in /usr/bin/ or /usr/local/bin/. 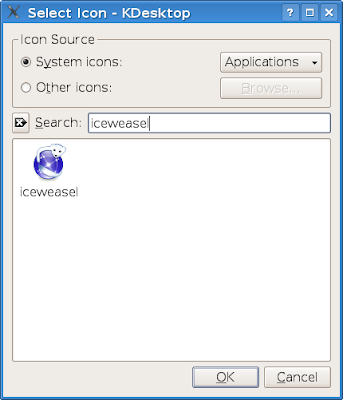 I used /usr/bin/firefox in this example, although this is just a symbolic link to /usr/lib/iceweasel/iceweasel on Debian Lenny (which is Debian's version of Firefox). 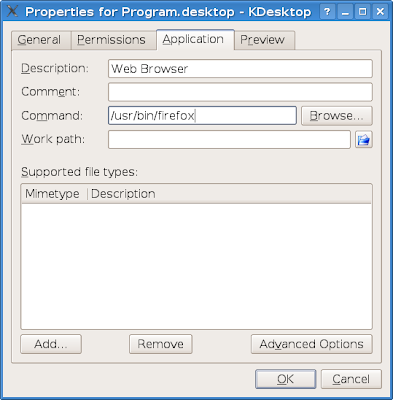 Note that you may want to create a launcher to an application which has its binary elsewhere, so you will have to enter the full path to it. For example, if you have the Songbird directory saved under /home/your_username/Songbird/, you will enter /home/your_username/Songbird/songbird, and replace your_username. Hit OK and that's it, your launcher should be now created. This will create a launcher just like the one we made at the first method. Thank you very very very much for publishing this article.i hope that like this way i shall get more helps from you.